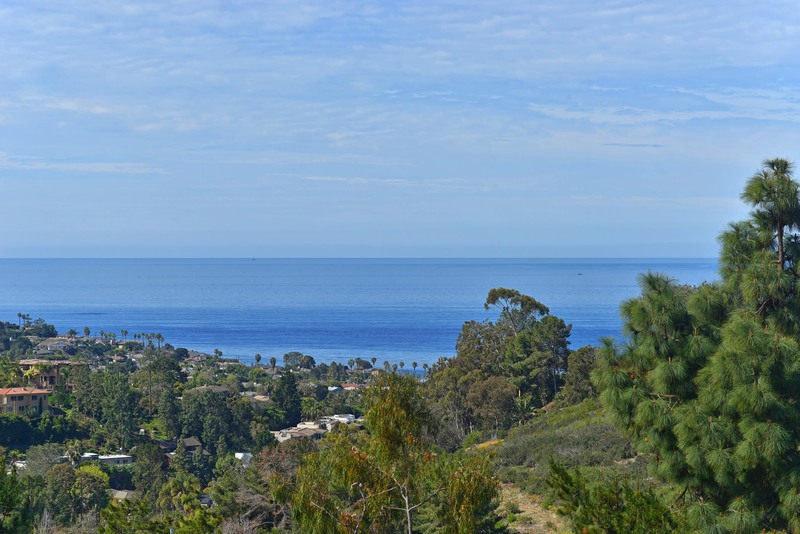 Extensively renovated, grand and gracious with heartwarming welcome, this private gated hilltop manse rests in a serene, wooded location measuring just under an acre with gorgeous ocean views. Exquisitely updated throughout to blend the ambiance of its traditional architecture with sleek modern upgrades, vast and elegant living areas include four fireplaces, a glorious cook's kitchen, the main level master retreat with dual baths en suite plus an office/den. Two stairways lead to a massive approximately 1,200sf recreation room with endless possibilities, two bedroom suites, and a computer study area. Enjoy fitness, customized storage and the four-car garage. One of La Jolla's very finest estates. Welcome guests with four-car garage plus eight car parking within the gates.